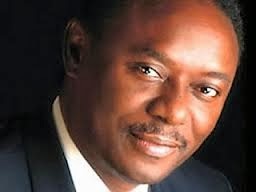 HubEnt™: Chris Okotie Vying for Presidency in 2015? Chris Okotie Vying for Presidency in 2015? Pastor Chris Okotie of the Household of God Church International Ministries has announced his intention to run for President in the coming 2015 Nigerian elections, despite losing two times before now. You recall Pastor Chris had first contested in 2003, under Justice party, against former president Olusegun Obasanjo. Then he ran again in 2007 as a member of the Fresh Democratic Party but lost to late President Umaru Yar’Adua. Pastor Chris told reporters that he is doing it again cos God spoke to him about his participation in Nigeria's political process, which was why he got involved in the first place. And since then, God hasn't 'unsaid' what he said yet. Question Of The Day:- Can You Marry The Person You Are Currently Dating? Reach your target market now! HubEnt™ is the ENTertainment HUB that brings you music and music videos updates and downloads, celebrities' gossips and gists, fashion and lifestyle, health tips, library and many more. Expect more from new music updates, album previews, gossips & gists, twitter trending topics in your locality, innovative ideas, health tips and many more as we bring you the most essential and relevant updates. It is all about humanity and making it as lively as possible :). The best of entertainment at your finger tips! [MUSIC]: DOWNLOAD FRESH FOREIGN MUSIC NOW !!! [READ]: Detailed story of the Accident that changed Kanye West's Life 11 years ago, today! All Rights Reserved. HubEnt™ Blog 2013. Theme images by Ollustrator. Powered by Blogger.